by: Richard G. Hovannisian, Ed. From early antiquity, the Armenian people developed a rich and distinctive culture on the great Armenian highland plateau, extending from Asia Minor to the Caucasus. On that crossroad, they interacted on many levels with civilizations of the Orient and Occident. Immediately to the west of the Armenian highland and the Euphrates River lay Lesser Armenia with Sebastia at its center and Cappadocia with Mazaca, later known as Caesarea (Kesaria/Kayseri), at its center. Interactions between Armenia and Cappadocia date to early antiquity, when Cappadocia became a contested marchland between empires of East and West. Caesarea also played an important role in Armenian Christian history, as it was there that Gregory the Illuminator, the evangelizer of Armenia, spent his formative years and it was there that he was ordained the first prelate of Armenia in the early fourth century. Because of the turbulent history of the Armenian kingdoms, the Armenian element in Cappadocia increased steadily in the Middle Ages. Byzantine expansionist policies and mounting Turkish pressure constrained Armenian kings and nobles to relinquish their domains in the east in exchange for expanses in Lesser Armenia and Cappadocia. During the centuries of Ottoman rule, the Armenians of Kesaria were noted as goldsmiths and skilled craftsmen, professionals and producers of carpets, linens, textiles, leather goods, pottery, and cured beef. Beyond the confines of the city of Kesaria with its 20,000 Armenian inhabitants were numerous villages with a combined Armenian population of some 50,000. With their tightly-knit communities, strong religious faith, schools and churches, the Armenians of the Kesaria region managed to preserve their distinct identity down through the centuries. Like almost all other areas of Armenian existence in the Ottoman Empire, however, they were uprooted and deported toward the Syrian deserts in 1915, with very few of the survivors ever returning. 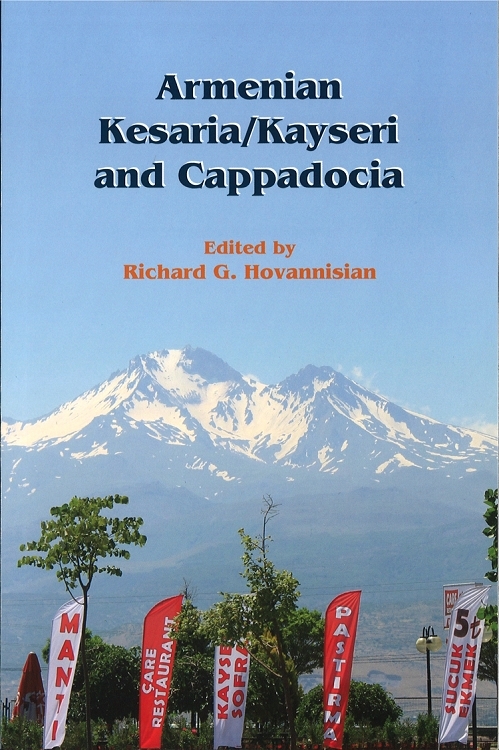 These aspects figure among the multidisciplinary discussions in this volume—Armenian Kesaria/Kayseri and Cappadocia.